The AfterSchool Edge from AWE is the first complete digital learning solution designed specifically for out-of-classroom use. The AfterSchool Edge features 50 top-rated educational software titles that appeal to elementary school students of all grades. 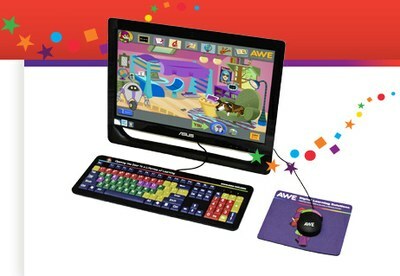 Check out our new AfterSchool Edge computer! children ages 6 - 12. The AfterSchool Edge software titles include I Love Science!, Britannica Encyclopedia, Eyewitness History of the World, Math Blasters and many more programs across the curriculum to help students improve their skills and provide an enriching out-of-school activity.